At EICR Edinburgh we provide fuse box repair, replacement and installation. Your fuse board or fuse box is actually called a consumer unit. It is a vital part of your electrical installation. These come in all shapes and sizes with some having a higher level of protection than others. If you do not have RCD protection, then for your own safety, or that of your tenant we would advise you to upgrade. Having an old fuse board with asbestos flash guards. Fuses can age with use, so if your fuse board is older than 10 years we highly recommend you have it checked. If you are unsure if your Fuse Board needs replacing, please contact us and we will be happy to advise. Fuses or MCBs (miniature circuit breakers) are the protective devices in your fuse box/fuse board are designed to break if there is too much load going through them. For example on a socket ring main circuit rated at 32 amp – if you plugged many appliances into that circuit that exceeded over 32 amps the fuse would blow, this protects the wiring from becoming a potential fire hazard. 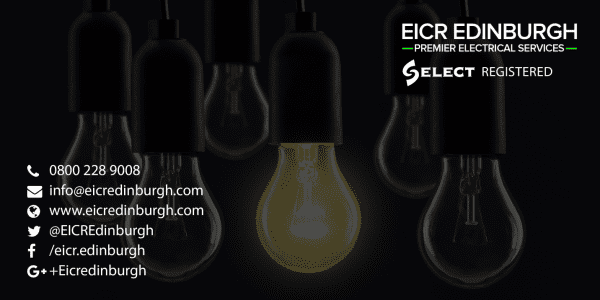 By choosing EICR Edinburgh to carry out work on your fuse board you can rest assured your fuses/MCB’s will meet the correct safety criteria for your electrical circuitry. An RCD, or residual current device, is a life-saving device which is designed to prevent you from getting a fatal electric shock if you touch something live, such as a bare wire. It can also provide some protection against electrical fires. RCDs monitors for an imbalance in the wiring and trip very quickly in the event of a fault. They give a much higher level of protection to life and property. RCDs offer a level of personal protection that ordinary fuses and circuit-breakers cannot provide. You may have seen single point RCD plugs sold at Screwfix and B&Q? EICR Edinburgh fuse box/fuse board upgrades work on the same principle not only giving protection to a single point but to the whole property and its occupants. RCBOS are great little devices, that combine the safety and overload aspects into one little trip switch. The unit on the whole will be smaller and may fit physically better into tight spaces. As each circuit has its on RCD protection, if a fault occurs only that specific circuit will be affected. Each fuse board/fuse box/consumer unit will offer a high level of protection to you and your home. RCBOs may be recommended where the wiring is older as these allow 30ma per circuit fault current, in other words a bit more leeway. What is involved in a Fuse board/Fuse box/Consumer unit upgrade? There’s 2 ways to do a fuse board upgrade. The preferred method is to carry out an EICR (electrical installation condition report) This checks all the wiring in the property there could be (and often are) existing faults your old fuse box/ fuse board would not pick these up, for example a nail through a cable from neutral to earth , or low insulation resistance readings (deterioration of the cables). 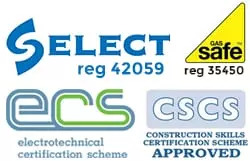 On completion of the EICR we can discuss with you any problems that would be repaired at the same time as the fuse board installation at a later date. We give a lifetime guarantee due to the quality of our installation and the equipment we install. The other method is to turn up on the day and carry out the test. We can carry out a quick electrical check to see if the wiring has any faults, then carry out the installation of the fuse board/fuse box/consumer unit and combined EICR – this works in most cases, unless there is an existing fault, we have to access the fault and repair this first, remember your electrical installation may have worked for 30 years with faults, but your new fuse board would not operate correctly until these are fixed! We also offer a complete upgrade for your peace of mind. This involves changing all the sockets and switches that become worn over time. When we carry out the upgrade we can fix all faults (missing earth sleeve and grommets) replace old junction boxes and connectors (these can wear/loosen over time becoming a potential fire hazard) also replacing open batton type holders in cupboards with impact proof LED lights, also LED lighting in bathrooms and kitchens. Once complete you will have a very safe electrical installation and a lifetime guarantee. How much does it cost to replace a consumer unit? Calculating the cost to replace a fuse board or consumer unit depends on a number of variables. To ensure you receive the best price for your fuse board replacement/repair please complete the form below. EICR Edinburgh only install quality consumer units / fuse boards this month we would like to promote the brand MK. MK metal Dual RCD consumer units / fuse boards are reliable, solid and a brand you can trust – like us! "EICR had to work to our very tight schedule in installing smoke/heat alarms, installing a new fuse box, providing new electrical sockets and PAT testing a number of electrical items. An EICR and PAT testing reports were subsequently provided as required and emailed to us as promised. All works were professionally started and completed on time and we feel the service quality provided was second to none and certainly value for money. We have no problem in recommending EICR to all our family and friends and we will be using EICR when our PAT testing will be required in a years time." Read more from our customers here.